The new way to expose your business to the masses. Cloudvertising is a fresh and exciting new mass advertising medium that uses special effects helium gas filled foam Bubloon™ clouds in the shape of your business’ logo in 3D and provides an awesome aerial exposure of your business to a massive crowd in a fun and exciting new way. The indoor or outdoor crowds can’t help but notice the clouds of your logo as it lifts up from the ground into the air without disintegrating for up to five miles.This atmospheric special effect produces man made clouds that can be custom shaped to your logo or theme. Imagine clouds of your Business logo float away at massive outdoor or indoor events like at NFL Football games, NCAA College Football games or Concerts and Music Festivals. Hundreds of your potential customers are gathered in one location and you can expose and market your business in a fun an exciting new way using cool helium gas clouds and watch your customers eyes get glued at your logo as it floats away in a solid 3D cloud like a balloon. Take advantage of the hottest new trend in mass advertising, Cloudvertise® 3D Logo Clouds. Our Cloud Logo Special Effect Machine is perfect to bring to Rodeo Events, NASCAR Events, Beach Events, Music Festivals, Parades and to many other places both indoor and outdoor. Request A DISCOVERY Call with our team at a date and time which best suits you. 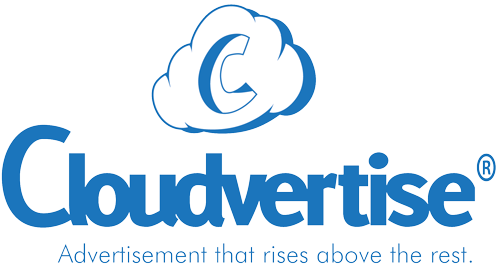 On our call we will discuss your business, and explain exactly how Cloudvertising can help get your messsage out to the masses. 3. Watch The Magic Happen! Let your Cloudvertising raise your business or service to new heights. The hottest new trend in mass marketing. Advertising that rises above the rest. • Now you can offer something brand new to your fans, guests or clients that will inspire imagination and intrigue. Draw attention to any location and brand your logo in unpopulated space...the sky. • Our experienced design team can produce almost any shape or logo. If your logo is too intricate, we will examine it and offer suggestions that will attract attention to your event. • Cloudvertising can be used indoors and outdoors. Rise Above The Rest With Cloudvertise. The hottest marketing tool of the decade. Contact the Cloudvertise | Bubloon team today about floating clouds and learn more about eco-friendly advertising that excites the crowd and makes your marketing rise above the rest. For Years Michael Willett and his team of atmospheric special effect professionals have been using the Cloudvertise machines to create unique and exciting marketing opportunities for small businesses, as well as Fortune 500 companies. CMO’s around the world have realized the impact the unique man made logo cloud can have on audiences. The helium filled bubloon clouds engage the audience and captivate them by creating curiosity associated with your branded logo cloud. This is one of the most exciting innovations for aerial marketing in decades. Contact us today and get more eyes on your logo. Why Should You Contact Our Team? • Are You In Charge Of Your Marketing Campaign? If marketing is important to you, then finding new and exciting ways to brand your logo or your message is a challenge. Over the years individuals have become numb to traditional marketing campaigns and now you have the challenge of marketing to Millennials. The millennial generation has been inundated with ads their entire life, but now we have found a NEW way to engage them. They love selfies and Cloudvertising offers something brand new for them. They are excited and eager to photograph and video the Bubloon clouds. This puts EYES ON YOUR BRAND! !